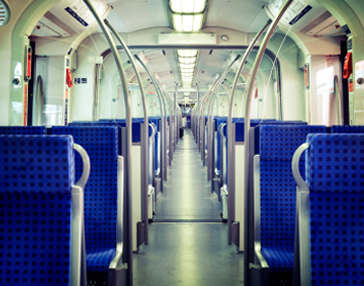 Multilevel Rail Coach Interior Design Optimization | Resource Systems Group, Inc.
New Jersey Transit (NJ TRANSIT) sought to determine, based on customer preferences, the best interior-attribute bundle to incorporate into over 200 multilevel rail coaches that were to be procured. In order to enable NJ TRANSIT to make informed decisions regarding customer preferences for the interior attributes of these rail cars, RSG designed and implemented a study that was conducted using “convened” groups. The study incorporated both qualitative focus group discussions and a quantitative computer-based survey to fully understand customer perceptions. While the focus groups provided strong anecdotal impressions of customer desires, the computer-based survey allowed for the estimation of preference models that were used to arrive at the optimal interior-attribute bundle. This dual approach allowed RSG to provide a complete picture of customer preferences for NJ TRANSIT, and it underscores RSG’s commitment to designing and implementing studies that best fulfill client needs.